​​Bournemouth will host Burnley at the Vitality Stadium on Saturday, with the Cherries hopeful of a first home win since the end of January that would propel them towards the top half of the Premier League as the 2018/19 season enters its final stages. Burnley desperately need three points. The Clarets are currently involved in a relegation dog fight with Cardiff City and Southampton but, despite being five points clear of Cardiff after Neil Warnock's side lost at Manchester City on Wednesday, Sean Dyche and his players will know they cannot afford to relax. Junior Stanislas could return to Bournemouth's starting lineup for the first time in two months after he came on as a substitute in last weekend's 2-0 defeat to Leicester. Full-back Adam Smith is also in contention to return for the home side, who have no other pressing injury concerns. ​Burnley have no major injury worries themselves, though Dyche will be wary of the fact that both Phil Bardsley and Ashley Westwood will pick up a suspension if either player is booked on Saturday. ​Bournemouth ​Begovic; Clyne, Mepham, Aké, Daniels; Lerma, Stanislas, Brooks, Fraser; Wilson, King. ​Burnley ​Heaton; Bardsley, Mee, Tarkowski, Taylor; Hendrick, Westwood, Cork, McNeil; Barnes, Wood. 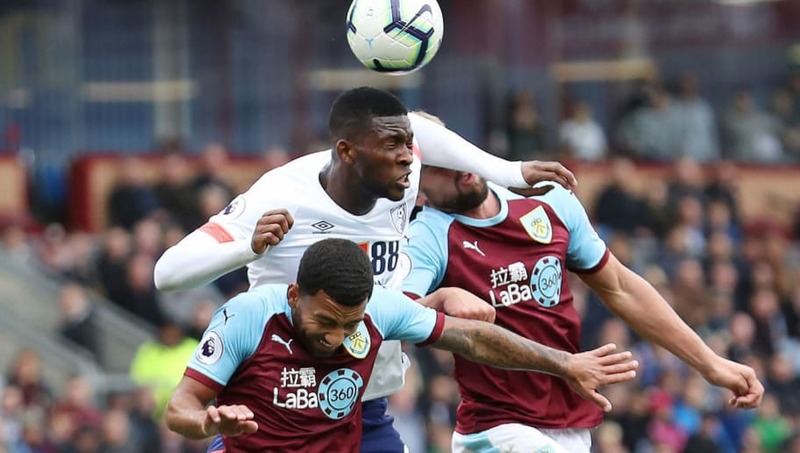 The two clubs have met 29 times in all competitions, with Burnley winning 12 games to Bournemouth's six and the remaining 11 matches ending in a draw. It has been a topsy-turvy fixture in recent years, with neither team claiming back-to-back wins during the three seasons that they have faced off in the Premier League. Burnley currently hold the edge though, as they thumped Bournemouth 4-0 at Turf Moor in this season's reverse fixture in September thanks to a brace from striker Ashley Barnes. ​Bournemouth are in the midst of an indifferent run of form. Eddie Howe's men have only won one of their past five matches, against already-relegated Huddersfield, and have not tasted victory at the Vitality Stadium since the end of January, when they produced one of the shocks of the season to thump Chelsea 4-0. An impressive victory at home to Wolves last time out saw Burnley put a timely stop to a run of four consecutive defeats. The Clarets will know that picking up a win against Bournemouth will be crucial, as Dyche's side are set to face Chelsea and Arsenal before the end of the season. Given the mixed form of both teams in recent matches, it is a contest that could go either way, especially given Bournemouth's poor home record in 2019 and the fact that Burnley will be fighting for their lives in their attempt to stay in the Premier League. In terms of the table, Bournemouth have little to play for in the final two months of the campaign, but Howe will know better than to let his players fall by the wayside. Burnley need to pick up every point they can to ensure their ​Premier League status for another season. The Clarets should be fired up for this one and, if they are, could earn themselves a share of the spoils on the south coast.